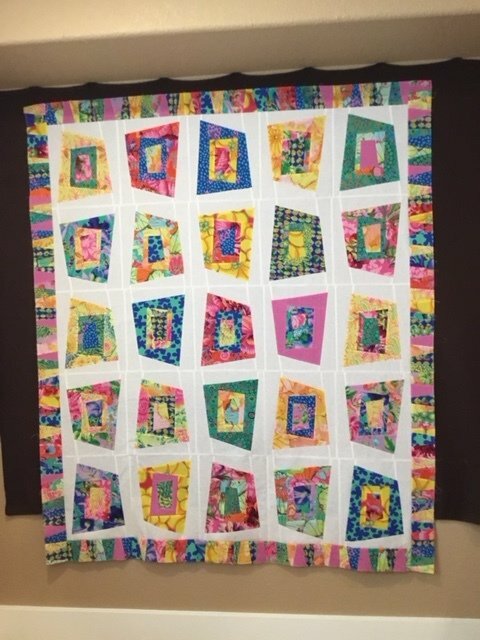 Make a fun and wonky quilt. It’s NOT precision sewing. The colorful blocks come together quickly and easily. The sashing is added, and then trimmed to get even-sized blocks. See the sample and kits in the store!